LONDON: European shares fell on Monday from recent six-week highs as a global equity rally stalled after data confirmed a slowdown in China’s economy and investors awaited for Britain’s next steps to break the deadlock over Brexit. British Prime Minister Theresa May is set to present her ‘Plan B’ for Brexit to parliament later in the day. Trade in general was subdued with US markets closed for the Martin Luther King Jr. Day. Data showed the Chinese economy, the world’s second biggest, grew 6.4 per cent in the fourth quarter from a year earlier, matching levels last seen in early 2009 during the global financial crisis. It was in line with forecasts, while factory output picked up stronger-than-expected in December and stronger services sector were some bright spots. In Europe, stock markets with the exception of Britain were broadly lower. The pan-European STOXX 600 index was last down 0.25 per cent at 356.27, below six-week highs hit on Friday. US stock market futures, which offer an indication of how Wall Street shares will next open, were down roughly half a per cent. 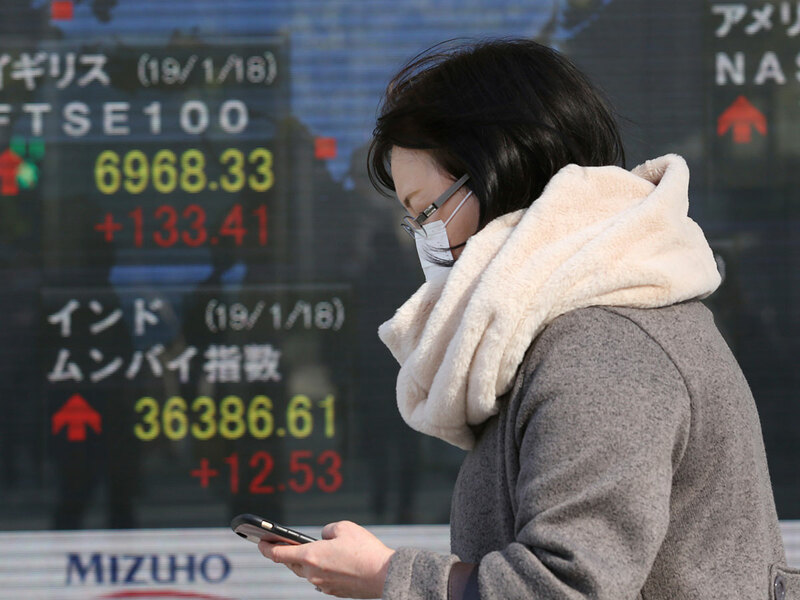 “And the start of this week is a reflection of the downside risk that still exist — Brexit and China/US trade developments.” Chinese stocks had rallied on Friday on reports US. Treasury Secretary Steven Mnuchin discussed lifting some or all tariffs imposed on Chinese imports, a story later denied. Growing signs of weakness in China — which has generated nearly a third of global growth in recent years — has fuelled anxiety about risks to the world economy in recent weeks and are weighing on profits for firms such as Apple. “On balance, the [China)] data is relatively positive and does not point to a hard landing,” said Timothy Graf, head of macro strategy at State Street Global Advisors in London. Brent crude oil futures fell 0.3 per cent to $62.50, having briefly nudged above $63 for the first time in 2019. US. West Texas Intermediate crude futures were down about 0.25 perc ent at $53.67 a barrel. Against the euro, the pound traded at 88.31 pence, recovering from a dip in early trade.